Our flexibility allows you to use your preferred payment method without limitations. MonoVM accepts a large multitude of different payment methods. From bank transfers, credit cards to almost any cryptocurrency, we accept it all. Specifically Visa, MasterCard and American Express cards inclusively. Payment for our services could also be completed through direct bank transaction from anywhere in the world. 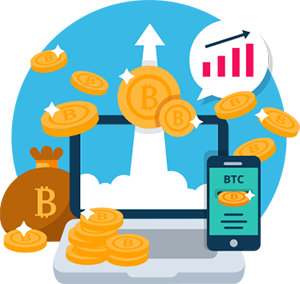 We also accept almost any cryptocurrency including but not limited to Bitcoin VPS, Litecoin, Ethereum, Ripple XRP, Stellar etc. At MonoVM we have very flexible payment methods and we accept 100+ payment options. We accept Visa, MasterCard, American Express etc as our payment methods. You can pay via a direct bank transaction from anywhere around the globe. PayPal, Webmoney, Skrill and many more could be used as payment methods. All our services could be paid for using any type of cryptocurrency.